What can I expect from a New Year's Eve in Cancun? New Year's Eve in Cancun means to know Mexican folklore. If you decided to spend holiday season on the beach to avoid the cold weather of your city, you chose the right place. Are you worried that nothing will be open? You have no idea. In the Mexican Caribbean, the holidays are no excuse for the party to stop at any time. That’s why, for almost a month, you can enjoy a variety of special and traditional events that will fill your heart with happiness. 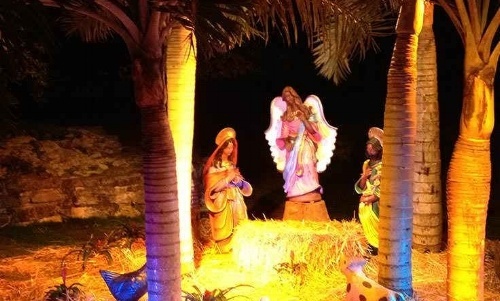 In a previous article, we mentioned that from December the 16th to the 24th, local people celebrate the traditional Posadas, or the recreation of the search for shelter that Mary and Joseph had to put through on the night that Jesus was born. During these days, the locals travel in processions with candlelight singing the popular litany before the ritual is consumed and the party begins among punch, sweets and piñatas. On Christmas Eve, locals spend time with their families. In Mexico, we call the night before Christmas ‘Nochebuena’. This day, several establishments close early, but the most popular bars and nightclubs -and even some hotels- make a whole celebration around it. 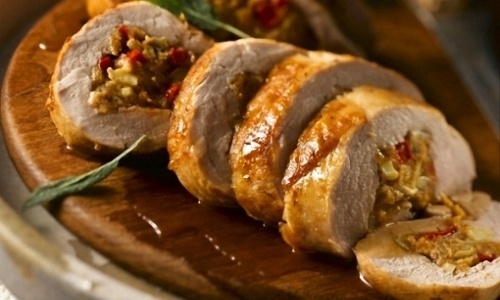 All restaurants open at Christmas and many offer special meals, some with traditional Mexican Christmas cuisine. If you are staying at an all-inclusive resort, you could enjoy Christmas season with. special dinners and a visit from Santa Claus. Remember the punch? Add some alcohol in it and you’ll have a popular seasonal drink. 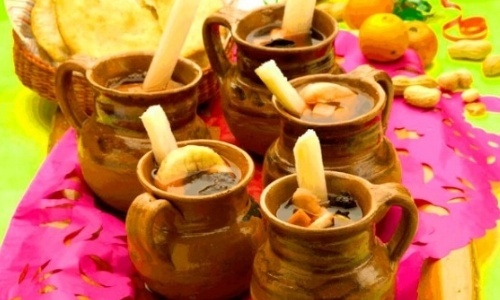 In Mexico, we call it ‘Ponche con piquete’ – ‘piquete’ stands for booze- and it’s made from seasonal fruits and cinnamon sticks, you can find it all season. 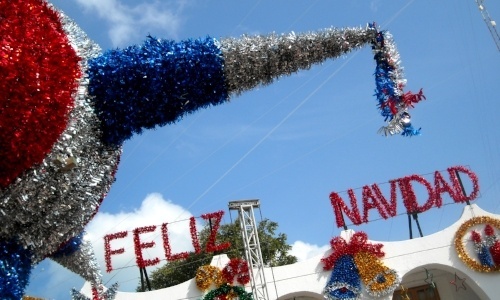 The 'nacimientos' (or Christmas stages) are usually installed on December the 16th, along with the beginning of the Posadas. At midnight on Christmas Eve, baby Jesus is added to the scene and the Three Kings until January 6. In Mexico, we have a special tradition: the Kings that appear on the stage giving presents to baby Jesus are our version of Santa Claus. It’s the popular belief that on the night of January the 5th, they come to give presents to every children, so when they wake up the morning of the 6th, the bottoms of their Christmas trees will be filled with toys and presents, but only if they were nice the rest of the year. In Isla Mujeres and Merida, the "Pastorelas" are very popular, which are recreations of the shepherds who visit the newborn Jesus. On December the 28th we celebrate in Mexico the equivalent of April's Fool in the US and it’s called 'Innocents Day'. It's a funny day. This means that you should be careful and don’t believe anything or trust no one. You might get pranked. 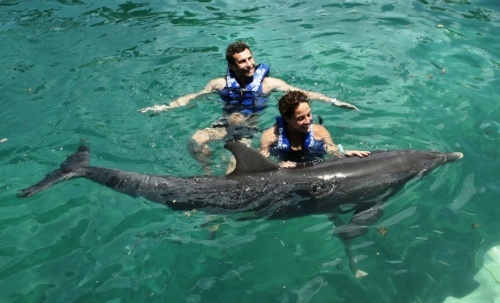 During these days, you can find great deals in some places, such as habitats for swimming with dolphins. These marine mammals also celebrate New Year's Eve and we want you to celebrate with them. Apart from tradition, during holiday season Cancun does become a paradise of colorful lights, trees and decorations. At Delphinus, we want you to have an awesome time and to do something that surely is among your New Year’s resolutions: swim with dolphins. We have seasonal promotions! So, hurry and book with us.